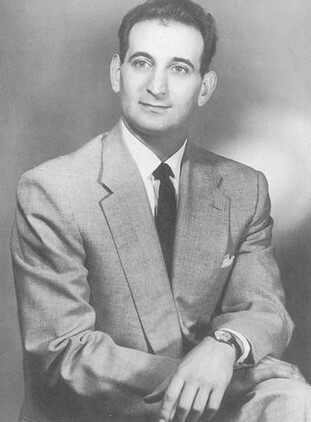 Reggie Gold one of Chiropractic’s last living legends and master of communication passed away March 24 2012. I had little knowledge of Reggie until I heard his interviews here on Spinalcolumnradio. As a Picker of collectibles, one of my specialties is record LP’s. The more unusual the subject matter on the record, the more interesting it becomes to me. 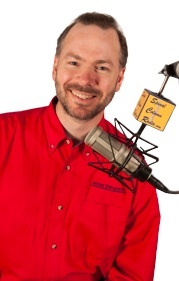 I am especially intrigued with spoken word records when an author reads his work, or a pilot instructs how to fly a plane, …or even when — as you’ll soon find out — a master at communicating the chiropractic message demonstrates his art in front of a live audience. 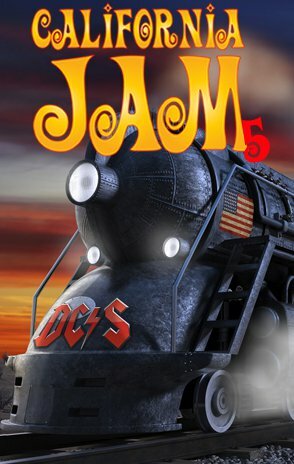 This interest of mine was instrumental to my discovering the rare BJ Palmer radio recordings from 1931, as heard here on SCR (episodes 017, 018, 019, 020, and 021). Little did I know when I first picked them up that this treasure would immerse me deep into the world of chiropractic history, inspiring me to connect with the profession and collect relics from its past ever since. 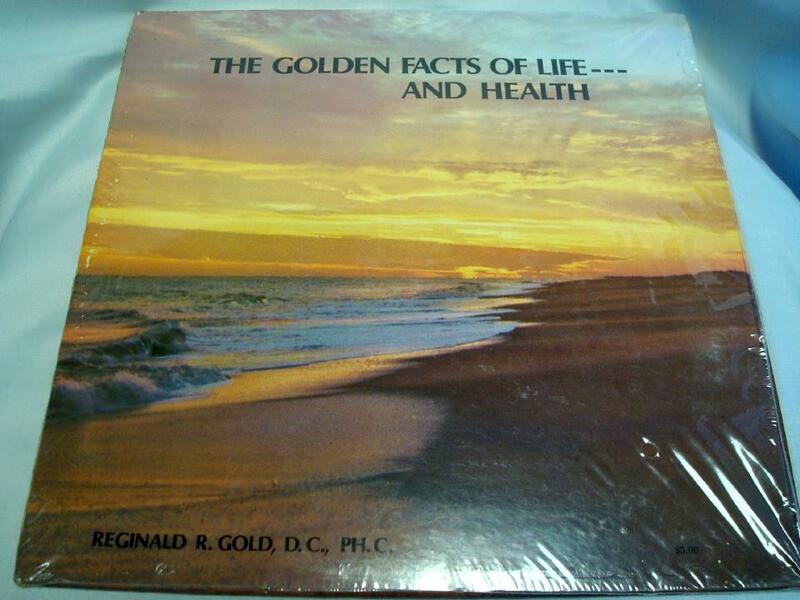 Recently I discovered another “golden recording” on vinyl entitled The Golden Facts of Life — and Health by Reginald R. Gold, DC, PhC. With a nerve-a-tingle, the ChiroPicker inside knew I had stumbled upon something great. Reggie was known for his mastery of communicating the chiropractic message, and I knew many would want to hear from the days of old “The Master” himself deliver this message as only he could. One look at the cover, though, and you’ll understand why I say that this LP would be easy to overlook as being a chiropractic treasure from one of its biggest names. Its appearance was quite generic and could easily have passed as a “Readers Digest Collection” LP of Beautiful Melodies with its ocean sunset on the front. The back was also “non-frills” with simple text introducing Reggie Gold as a Chiropractic lecturer. The record was priced at $5 and indicated that proceeds would go to PACE (the Patients Association for Chiropractic Education that Reggie founded). And while the record wasn’t dated per se, the cover certainly had a “70’s feel,” which actually may have been when it was released for sale; however, there is a strong clue within the recording itself that makes me more inclined to place the date of its recording, at least, it in the late 60’s. The 16 rpm speed records were essentially the first “audio books” — audio books that we now listen to and enjoy on CD. By designing these records to play at an extremely low speed, they were able to contain extended recording times. In this case, this turned out to be exactly what was needed as each side of the record was one hour in length: a two hour lay lecture!! Unfortunately, I didn’t have a player that played 16 rpm and knew that they were difficult to come by. My excitement quickly turned to anguish. I didn’t know how I would be able to play and share these recordings until I came across one of these unique players. Then I tried a little experiment. I played the record and listened to Reggie talk like a chipmunk while I recorded it on my digital audio recorder. This recorder’s software has a bunch of bells and whistles and allows you to play with the audio files. So through the wonders of digital technology, I was able to slow it down. As I reduced the speed, I adjusted it until Reggie started to sound like the Reggie I knew. Technology can be a real pain, but it is great when you can get it to work for you. 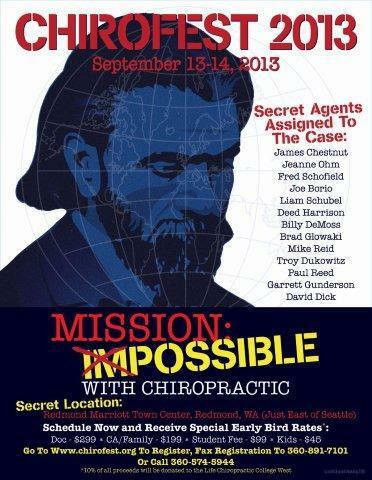 Reggie was known for traveling the world to help chiropractors grow their practices by talking to their patients. 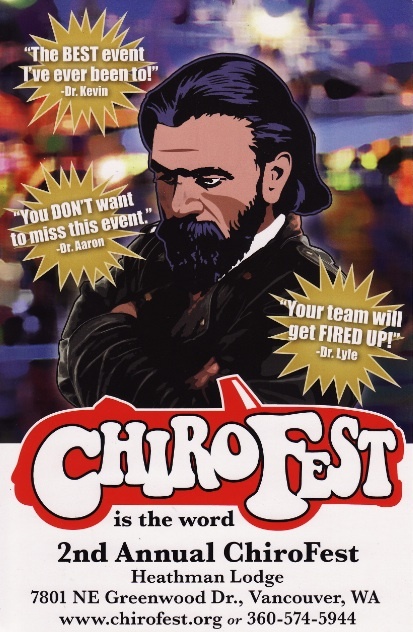 At one point, he was conducting no less than 40 lay lectures per year in various chiropractic offices around the globe. This particular recording was no doubt one such lecture and seemed to have been conducted for the patients of Drs. Caddell and Toomer (spelling?) in the state of Michigan. From a technical aspect, the audio is characteristic of a low budget production and is certainly not “studio quality.” Nevertheless, it is still very clear and easy to listen to. But perhaps what I enjoyed most about it was how it drew me in and made me feel as if “I was there.” At one point he can even be heard kicking off his shoes and sitting down with the group he was speaking to. Moments like these make this type of recording very “up close and personal,” and it is what the collector in me absolutely loves. But what about the chiropractic content? What about his message? … Well, what can I say… it is PURE GOLD!! 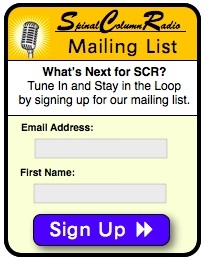 …And, I’ll tell you all about it and share some clips on next week’s Spinal Column Radio, episode 158! 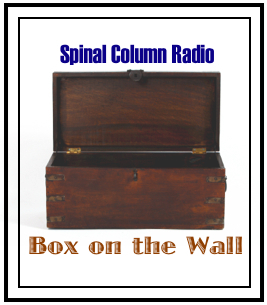 (Plus, I’ll even tell you how — in an effort to continue to the original mission of these recordings to raise funds for Chiropractic Education — I’m making them available to listeners in exchange for dropping a donation into to the Reggie Gold-inspired “Box on the Wall” here at Spinal Column Radio. I feel the work that Dr. Lamar is doing here is a valuable Chiropractic Education Resource and want to do what I can to support it. I’ll give you all the details in episode 158). You are THE ChiroPicker!!! What a find!! It’s the perfect addition to our “Remembering Reggie Collection.” …And you’re right, the cover alone would have caused me (and I’m sure most others) to overlook this “Golden Treasure.” I’ve always admired the simplicity and consistency of Reggie’s message, and I’m looking forward to having you on the show next week to share it. 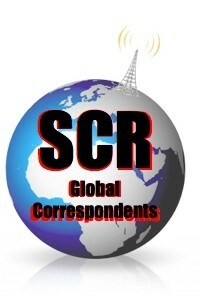 Thank you for your dedication and unique contribution what we do here at Spinal Column Radio, as you too are a treasure in your own right. I recently picked this vinyl up at a thrift store, because it looked like a collecters piece. I googled it and came to this article informing me on what’s its about, thanks. To get a better understanding of the year this was recorded, I did some research from listening to the first 20 mins of it. When he talks about gallbladder’s, he says that “the president had gall stones removed”. So I took that information and found out that Lyndon Johnson was the president he was talking about. Since he was talking about it in past tense, and Johnson had the surgery September 1965, I came to a conclusion that this record was recorded within late 1965 to 1969, which is when Johnson left office. I figured I’d share for collectors to know, since there’s no date on it.